So, how long did it take for rosefish to crash? About six years for the stocks off Alaska and British Columbia. Three years for the stocks off Oregon and Washington. It was fast. And it set off a cascade of ecological changes that we still do not completely understand. The Soviet factory fleets began fishing in Alaskan waters in 1959. Several hundred feet long, capable of staying at sea for months at a time, the factory trawlers revolutionized fishing. Their large engines hauled nets that could fish on the sea floor, or roll over large piles of rock, where fish species aggregated. 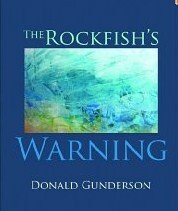 Catches of rockfish skyrocketed, reaching more a billion pounds in the Gulf of Alaska in 1965. There was a similar catch off British Columbia a year later. The factory processors headed south, off Washington and Oregon in 1966. They caught an estimated 35 million pounds in that first year, but the catches dropped quickly. The boom was almost over. The stocks were hit hard, and so were the local fishermen. Between 1967 and 1969, the catch per hour of fishing declined by 45 percent. That’s what happened to West Coast rosefish. It was caught as fast as possible, sold for as little as possible, and neither scientists nor fishermen understood one critical fact about these deep-water fish: that they were old. And that it would take a very, very long time to rebuild the populations–if they can be rebuilt at all. Some 60 years later, there is some evidence of rebuilding in Alaska, and a couple of stronger year classes off Washington and Oregon. That’s one of the things that makes rosefish interesting to study. It was far, far easier to catch the fish than it was to study them. The technology spread with astonishing rapidity, fueled by government money, all focused on worthy goals like stabilizing employment in coastal communities, providing a product for export, and using fish to solve the problems of world hunger and to defeat communism. Sounds silly? Well, it was the most important component of American fisheries policy during the Johnson Administration (I’ve got the documents, from the LBJ Presidential Library in Austin). Government subsidies helped spread the technology and provide money to university researchers, who designed the nets, experimented with new species, and helped market the fish. It was all a great example of the post-war research and development, all geared at achieving a greater harvest from the sea. The part of it that turned out to be the most difficult was the biology of the fish themselves. How could such a medium-sized fish be so old? But scientists didn’t start to figure that out until the late 1970s, that took another two decades after the Russian factory fleets first started exterminating rosefish. [i] Gunderson, Donald R. “Population Biology of Pacific Ocean Perch (Sebastes Alutus) Stocks in the Washington-Queen Charlotte Sound Region.” Dissertation, University of Washington, 1975. 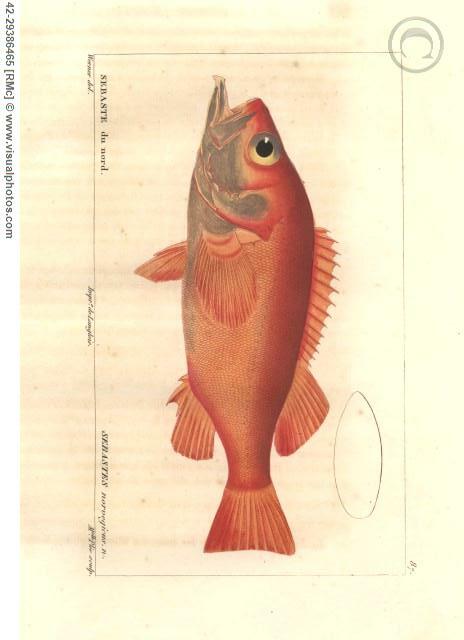 This entry was posted in Environmental History, Fisheries policy, Fishing, History of Science, Marine Policy, Maritime History, Ocean fishing, Pacific Fishing History Project and tagged Donald Gunderson, Fisheries Science, groundfish, Pacific Fishery History Project, Pacific Ocean Perch, Sebastes. Bookmark the permalink.